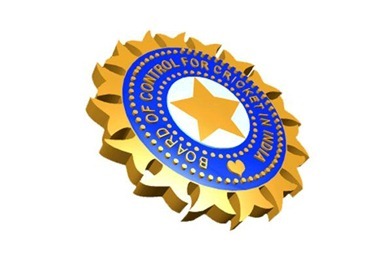 BCCI (Board of control for cricket in India) is undoubtedly the richest Cricket Control board in the world. The earnings have multiplied many times, thanks to the money spinning brain child of Mr.Lalit Modi – Indian Premier League (IPL) . The structure of the IPL was much on the lines of how the football clubs leagues work eg : English Premier League (EPL). The initiative invited lot of doubts initially with people unsure if the Indian Cricket Audience is ready for a state wise loyalty but IPL came through and we all know what a grand success story it is. Cashing on the ever increasing popularity of IPL and its increasing brand value, BCCI has decided to up the stakes for sponsors vying for an opportunity to get associated with Team India. The fresh bids for jersey sponsorship might see BCCI overtake one of the biggest football clubs in the world-Manchester United. BCCI is asking for a minimum reserve price of Rs 3 crore for each Test, ODI or Twenty20 game. Interesting to note here is that BCCI is asking the same price for Twenty 20 even though this format of the game has the least duration. But, with the increasing popularity of the version, the sponsors might as well get the best bang out of their buck even if the eyeball attraction time is comparatively smaller. The current sponsor SAHARA is paying around 2 crore each for an ODI and a Test match and Rs 1.5 crore for a T20 game. With the fresh bids rolling out, SAHARA might have to reconsider their sponsorship or be ready to dole out truck loads of cash. BCCI has pulled out a rabbit from the hat with IPL as far as the revenues are concerned. Moreover, along with increasing revenues the brand value of Team India (BCCI) has zoomed too. The stakes have been raised many folds but will the ROI (Return on Interest) also increase correspondingly for the sponsors. The sponsors will be betting on attracting maximum eyeballs wherever Indian team is playing. But, shouldn’t the team performance act as an influencing factor too. If the team performance does not match the expectations of the audience, will enough people be watching the Sponsor’s logo on the player’s jerseys. I have my doubts but then given the buzz surrounding the IPL and Indian team’s decent performance, the bidding process might attract enough players trying to outbid each other. Do you think the BCCI will have enough bidders for the new deal or the asking price is too high this time around? Cricket is probably the only sport that Indian (males) play for some years. Can’t think of any other physical activity one does after getting into college or work. So irrespective of how much BCCI hopes to make from this, it still is probably good news for the aspiring sportmen… however one wishes that other sports also flourish in India to a greater extent. the craze of cricket will soon fizzle out soon and already the new generation of kids hardly watch cricket anymore. Its the ones born in the 70s and 80s who are still glued to the game. A few years later the sport will lose its sheen. The youngsters already adore the EPL, F1, and other sports. In the over enthusiasm to make more money, the BCCI is digging its own grave. Not that iam concerned. The death of cricket will be a boon to India in the long term. You know Philip, I am one of them who has seen my own interest in cricket dwindling – And over last year especially after Force India’s podium, moving my interest in Formula One. I have even started following track & field sports which never figured in my interest list earlier..